Most collectors of Indian Mutiny medals will agree that there was much brutality during this conflict and medals issued without a clasp provide some of the most interesting and poignant stories. This brief blog relates to medals issued to members of the 32nd L.I. 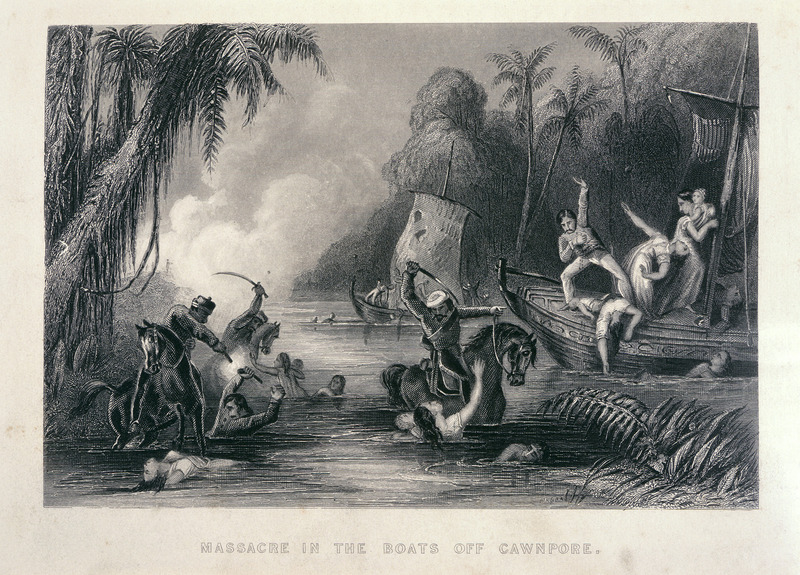 and 84th Foot who were massacred in the boats at Cawnpore. 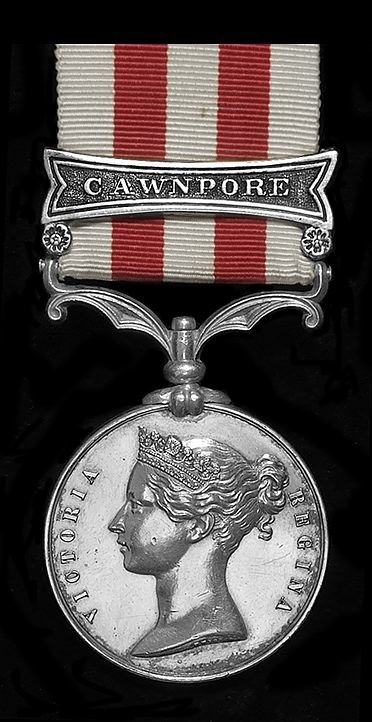 In June 1857 , sepoys under General Wheeler in Cawnpore rebelled and besieged the European entrenchment. Those under siege suffered many hardships with little food or water so when Nana Sahib offered the besieged safe passage to Allahabad on June 25th, the British were quick to agree and early in the morning of 27 June, they left their entrenchment and made their way to the river where boats provided by the Nana Sahib were waiting to take them to Allahabad. After the garrison and civilians had largely arrived at the dock, firing broke out from the sepoys who lined the banks of the river and the boats were abandoned by their crew and many were set on fire. The Europeans tried to push the boats off but all but three remained stuck in the mud. One boat with more than a dozen wounded men initially escaped, but after grounding, was caught by mutineers and pushed back down the river towards the carnage. As the massacre progressed, rebel cavalry rode into the water to finish off any survivors. After the firing ceased, the survivors were rounded up and the men shot while the surviving women and children were removed and held hostage to be later killed in the notorious Bibighar massacre. Out of forty boats, only one was uncaptured from which three officers and two privates eventually escaped. A clasp roll pertaining to casualties from these two regiments has been created from checklists 11 and 12 published by J.B Hayward & Son in June 1967 and is reproduced here with the express permission of Mr. Hayward. In addition, some information related to medals appearing for sale or at auction has been incorporated in to this database. In all, 133 medals were issued to men from these two regiments although many were unclaimed and are assumed to have been melted down. As a result, the number of known medals to these men is exceedingly small.